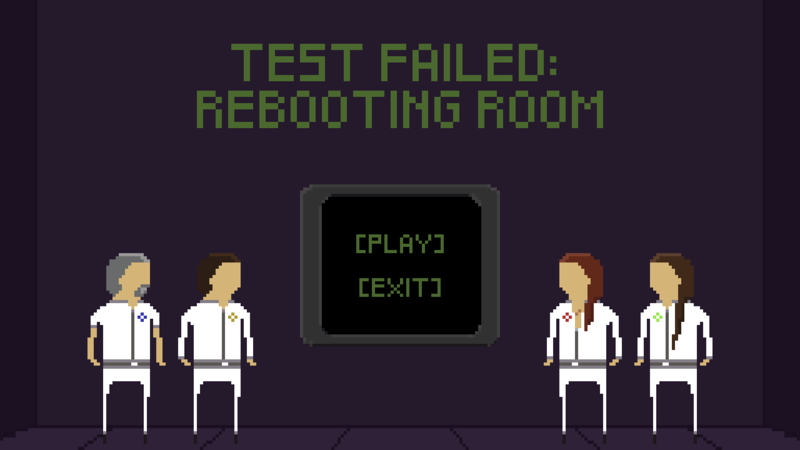 TEST FAILED: REBOOTING ROOM is a short point-and-click adventure made as an entry for the Dev Squad Jam: ONE ROOM. You wake up in a closed room. On the other side of a reinforced window, a ragtag team consisted of a prostitute, a serial killer, a gang member and a terrorist are as much trapped as you, as Chronos-Tec use your band of misfists to peform some kind of incomprehensible experiment. Be quick, as you only have 6 minutes. 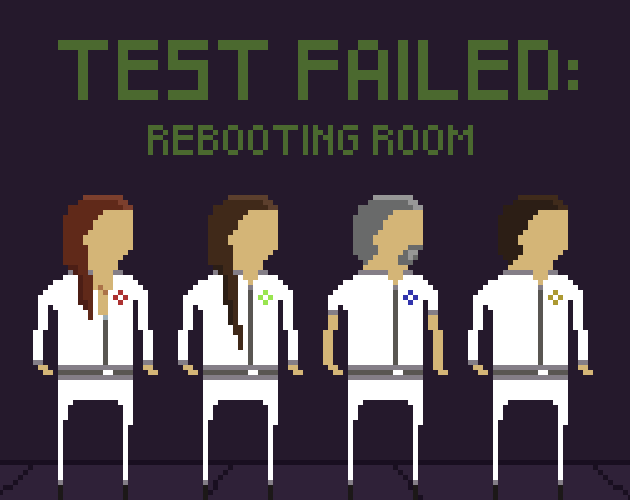 How many times will the test fail before you complete the experiment? Can it even be completed in 6 minutes? Chronos-Tec isn't responsible in case of any bodily harm, dismemberment and/or death. Thank you for checking out our game! Please, don't hesitate to comment and leave us your feedback! 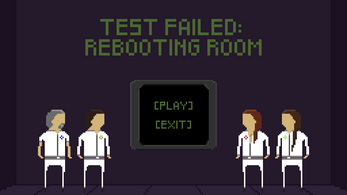 Here is a guide to help anyone stucked or trying to test the game to it’s full extent. For your own enjoyment, we advise you to try and play the game without reading it. Poke around a bit, get a feel of everything and everyone. Don’t be ashamed to fail the test; it isn’t designed to be completed on the first try. Regardless of how you play the game, we really hope you enjoy it as much as we enjoyed working on it! Switch to the magenta floor and get Bertrand out of his cell. Use him to open the breaker box and switch to Chips. Make Chips rewire the breaker box, then switch to the cyan floor. Use Chips to rewire the light socket and switch to the green floor. Get Amelia out, and make her interact with the now powered computer to dispense some bobby pins. Free Bonnie to take the bobby pins, and switch to the orange floor. Use Bonnie to picklock the safe, and switch to Bertrand. Interact with the box with Bertrand to break it accidentally, and switch to Amelia. Make her read the number on the paper and switch back to the green floor. Input the code with Amelia in the computer and go to the final directive terminal (Just above the levers used to control the room) Make a choice.